On August 7th last year, Asus had launched the Zenfone Selfie which is a great phone for selfie addicts, especially when you want to capture every single moment of joy even in the dark as it comes with a 13-megapixel front facing camera with dual LED flash on the front. the phone was priced starting at Rs. 15,999 at the time of launch. It was launched in two RAM/storage bundle options – 2GB of RAM/ 16GB of inbuilt storage, and 3GB of RAM/ 32GB of storage – priced at Rs. 15,999 and Rs. 17,999 respectively. 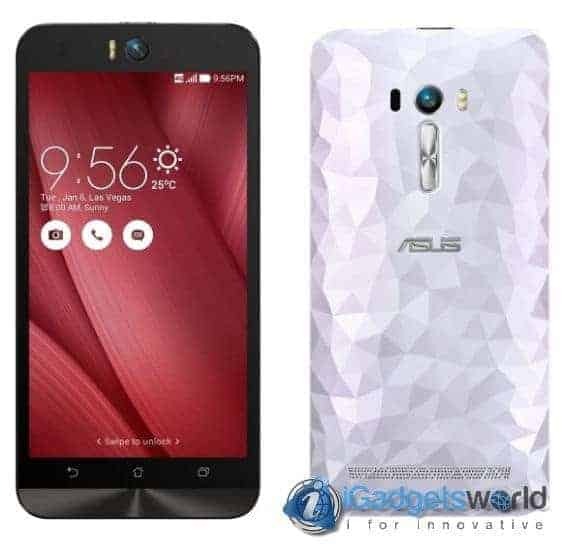 Now Asus has made some brilliant changes and has brought an all new Zenfone Selfie with more RAM and a diamond cut back, yes it will look just like the Zenfone 2 Deluxe when you look at the back. Now let’s take a deeper look into what’s inside the all new Zenfone Selfie! The phone is powered by a Qualcomm Snapdragon 615 processor combined with a 3GB RAM and 16GB memory that is expandable up to 128GB. The Zenfone Selfie sports a 13MP front camera with a f/2.2-aperture, wide-angle (88-degree) lens, dual color real tone flash, and selfie panorama. It also supports macro photography that allows the users to capture objects over 6cm. However, the phone doesn’t compromise in terms of rear camera and the Zenfone Selfie features a 13MP rear camera with a f/2.0-aperture, auto- laser focus and a dual-color real tone flash. Under the hood, there is a 3000mAh battery to keep the phone going al day long. Now, here’s something that will definitely blow your mind. The starting price for the older Zenfone Selfie was Rs. 15,999 and it went up to 17,999 for the variant with 3GB RAM and 32GB storage. But this time, the price has been lowered down a lot and now the all new Zenfone Selfie ZD551KL is priced at just Rs. 12,999 and is available on Amazon, if you’re a selfie addict go grab it now from Amazon. Zenfone Selfie is available in a range of exciting colors – Glacier Gray, Sheer Gold, Polygon-Illusion Diamond White, Illusion Polygon Blue, and Illusion Smooth Pink, to suit every user’s personal style and fashion sense.